September | 2018 | Mike Lamberti, From Margate To Cleveland, And Back ! 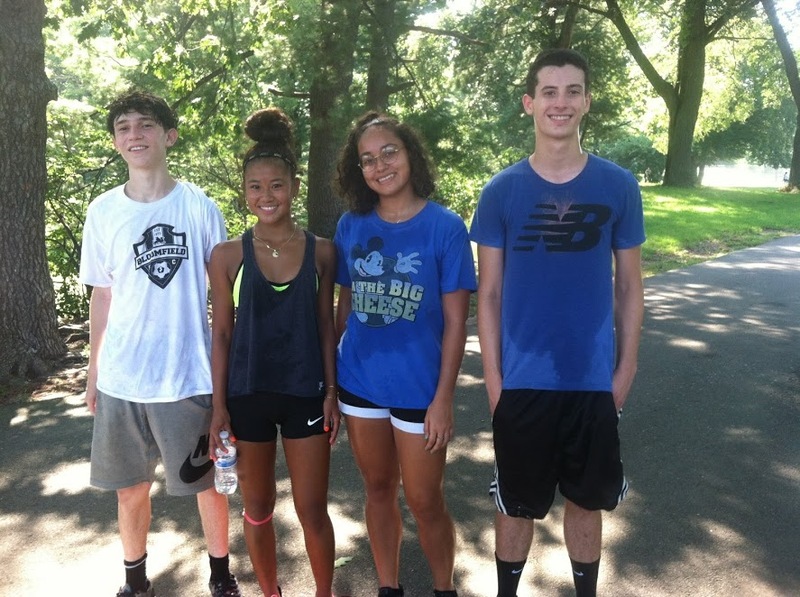 The excessively hot weather aside, the Bloomfield High cross country team has been getting some good work in during August. The Bengals, boys and girls, open the regular season on Sept. 6, with a Super Essex Conference (SEC) meet, at Branch Brook Park, in Newark. The team is back at Branch Brook for SEC meets on Sept. 12 and Sept. 20. All three of those meets begin at 4 p.m.
Chris Romano is beginning his second full season as the team’s head coach. His assistant this fall will be Maureen Moore. Left to right, team captains Colyer Samper, Camrynn Referente, Da-Xia Colon and Louis Orellana. A talented group of runners do return for the boys. The seniors are Colyer Samper, Philip Mabalatan, Loius Orellana, Adam Itzkowitz and Jordan McRae. The juniors include Rendell Amilcar and Luca Ponticello. Romano noted that two underclassmen, Brendan Heaney and Quaid Mullane have shown marked improvement and could be major contributors at the varsity level. The BHS girls team captured an SEC Liberty Division regular season title in 2017, finishing unbeaten. And while seven were graduated from that squad, a strong contingent of runners return this season. “Among the girls on last year’s team who graduated were team captain Jackie Guinta, McKenzie Presume, who is attending Rutgers University for track and field, and Natasha Senatusm, who is running at Montclair State University,” said Romano. The returning athletes include seniors Camrynn Referente and Da-Xia Colon and a strong group of juniors, paced by Sindy Casimir, Amanda Guinta, Angelina Ramos and Alanna Espinal. Bloomfield’s team captains this year are Samper, Referente, Colon and Orellana. Interest in cross country continues to be good at BHS. The Bengals boys and girls teams will compete this fall in the SEC’s ultra competitive American Division. “We welcome the competition,” said Romano. “The cross country team, as a whole, has been successful winning Liberty Division titles in each of the past four years. This is the first time that both the boys and girls teams will compete in the American Division in the same year. We will run against past successful programs like Millburn, Seton Hall Prep, Montclair, West Orange, Montclair Kimberley and Columbia on a weekly basis. 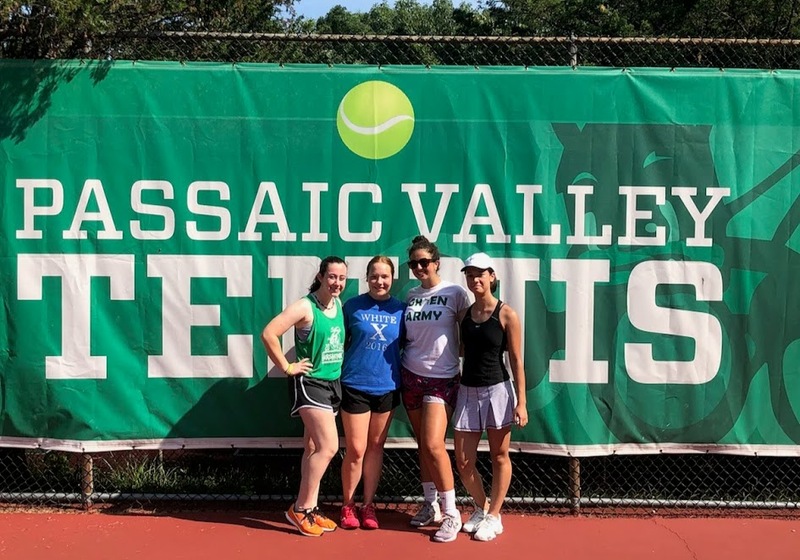 As the 2018 regular season approaches, things are looking good for the Passaic Valley girls’ tennis program. Head coach Jim Holsworth began his third season at the helm with some excellent news, when official practice began in mid-August. Passaic Valley will open the regular season on Sept. 5, with a match at Paterson Eastside, starting at 4 p.m. The team will visit perennial powerhouse Wayne Hills, on Sept. 7 and plays its home opener on Sept. 12, when West Milford comes to town. PV’s home matches will once again be held at Rose Place Park, located in Woodland Park. The facility was beautifully renovated a season ago. Eighteen players are out for the team this fall, including four seniors in team captain Anna Hosri, Danielle Gaita, Grace Rose and Cat Ferguson. Hosri will be playing the difficult first singles position this year. Ferguson will start the season playing second singles and Ella Luz, a freshman will play third singles. The first doubles team will once again feature juniors Victoria Povolo and her sister, Ashley Povolo. Victoria and Ashley are quintuplets. Among the players for second doubles include Rose, Gaita, Emma Nguyen and Lia Trewhella. Holsworth noted that practices have gone well. “We’ve gotten a lot of work in,” the coach said. “We’ve been on the courts around 9 a.m. It’s good to have some experienced players, as well as the new kids, who are excited to learn the game. With the additional players on the roster, including a number of incoming freshmen, Holsworth knows how important it will be for them to get playing time.